You may have watched Sofia Coppolas "Lost in Translation" (2001) in which Bill Murray, sort of playing himself, stars in a Japanese whisky ad for Suntoy Hibiki whisky. 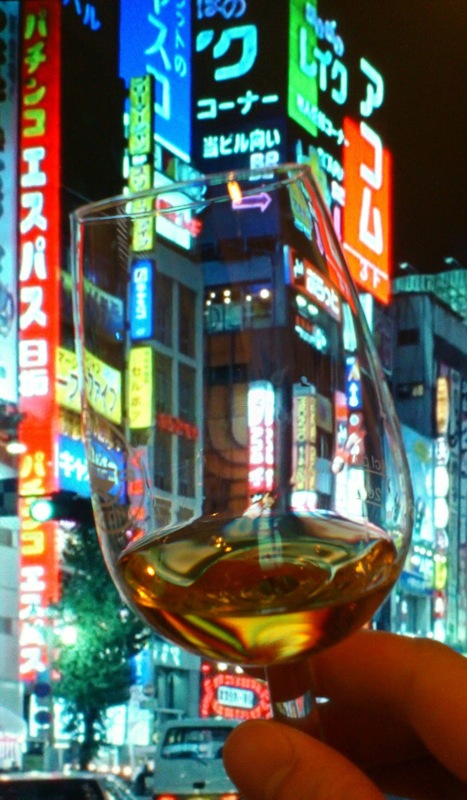 The movie may also have played a bit part in the stellar rise of Japanese whisky in the west. So today I'm reviewing the relatively new Hibiki 12 blend from Suntory. It is said that the Hibiki 12 was created specifically with with western markets and tastes in mind. Suntory owns three whisky distilleries in Japan (Yamazaki, Hakushu and a less know grain whisky distillery named Chita) and while they also own Scottish distilleries like Bowmore it is safe to assume the Hibiki blend is composed from whisky of the three Japanese distilleries.Noteworthy with the Hibiki 12 is that part of it is finished in Ume-Shu casks (Japanese plum wine). Comments: Very fresh and light. The Ume-Shu gives it a very unusual fresh profile and makes it feel very Japanese even if it isn't a typical Japanese whisky. I could imagine this one working well with ice if you must.